Signed, titled "Peinture" and dated on the back. 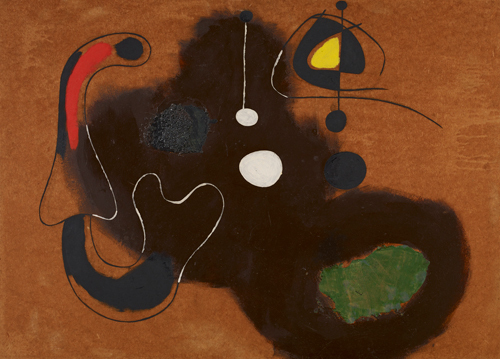 J. Dupin, Miró, Flammarion, Paris 1961, no. 458, p. 519. P. Gimferrer, Les arrels de Miró, Polígrafa, Barcelona 1993, no. 550, p. 361.